Many Los Angeles and Southern California business owners and entrepreneurs realize that success — both in business and in life in general — is all about balance. There’s work-life balance, of course, as well as balance between the different departments of your company. It’s especially important to find the right balance between the financial and operational sides of the company. It’s often said that “men are from Mars and women are from Venus,” and the same thing could be said about finance and operations. These two different sides of the company often see things from a very different perspective. But for your company to achieve the highest level of success, your financial and operational strategies need to be in sync with each other. § Employees will receive a muddled and unclear message, making it difficult for them to know in which direction the company is moving. § Employees won’t have clear direction in terms of the best way to perform their jobs, which can result in frustration and burnout. § The company will fail to operate at peak efficiency and effectiveness, resulting in wasted resources — both human and financial. § It will be difficult, if not impossible, for either the financial or operational goals to be met. In fact, financial and operational goals and strategies are co-dependent. If they are not linked together and in sync with each other, this will significantly diminish the chances of organizational success. One of the biggest challenges to syncing finance and operations is the fact that financial objectives are often short-term in nature as leadership seeks to boost short-term financial performance. Operations, on the other hand, tends to take a longer-term view of things and sets goals that are long-term in nature. Therefore, one of the most important keys to finding the right balance between finance and operations is finding the proper middle ground between these two extremes. When finance and operations are properly balanced, the financial strategy will be an effective tool for achieving operational goals — and vice-versa. So what is the best way for your company to achieve this elusive balance? Hiring an outsourced financial services provider is often a good first step. 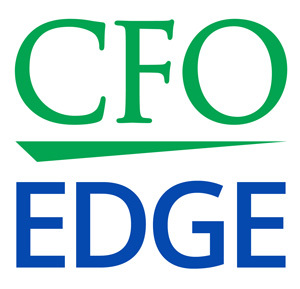 One of the main responsibilities of an outsourced CFO is to ensure the proper linkage between the financial and operational plans. As a part of this responsibility, the outsourced CFO will help translate the operational strategy into a financial strategy in a way that will help your company achieve both financial and operational objectives. § It will help ensure that all goals of the executive team are in sync, understood and clearly communicated throughout the entire organization. § It will introduce a higher level of financial strategic thinking into your organization. § It will improve the chances of alignment, measurement and ultimately success of both financial and operational goals and objectives. § It will create a set of financial metrics that will properly measure progress toward both financial and operational goals. § It will help you find the right balance between short-term (i.e., cash flow and P&L centric) and long-term (i.e., revenue development and marketing oriented) goals. § It will help your executive team provide a more consistent message to the entire organization. By taking a holistic view of your organization that encompasses both finance and operations, an outsourced CFO will know what to measure, how to measure it, how to make sure the measurements are effective, and what adjustments need to me made to ensure maximum effectiveness. Success in business and in life in general is all about balance. It’s especially important to find the right balance between the financial and operational sides of the company, which often see things from a very different perspective. An outsourced CFO can help sync the goals and objectives of finance and operations and ensure the proper linkage between your financial and operational plans. He or she will help translate the operational strategy into a financial strategy in a way that will help your company achieve both financial and operational objectives.